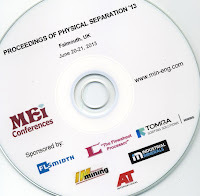 Physical Separation ‘13 was held at the St. Michael’s Hotel, Falmouth, UK, from June 20-21, 2013 and was sponsored by FLSmidth, TOMRA Sorting Solutions, Limn The Flowsheet Processor, International Mining, Industrial Minerals and AT International. As always, this is my diary of events, which I hope will be supplemented by comments from delegates. I opened the conference this morning and welcomed our 58 delegates, representing 15 countries: Australia, Brazil, Canada, Chile, France, Germany, India, Israel, Japan, Poland, Russia, Spain, Sweden, UK and USA. Thirteen of the delegates from Computational Modelling ‘13 had stayed on for this conference, including 6 from the University of New South Wales. 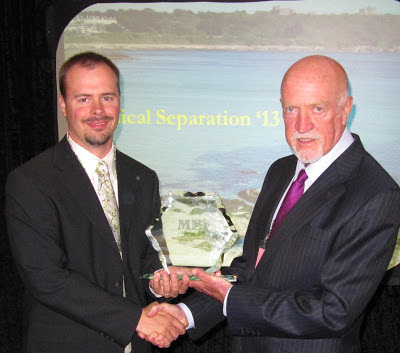 Before the start of the technical sessions I had the great pleasure of presenting Randall Zahn, of FLSmidth, USA with the MEI Young Persons Award for 2012 (see MEI Online for the citation). Conference sponsor David Wiseman of Limn: The Flowsheet Processor, Australia, presented the first paper in the technical sessions, showing how physical separation processes can often be modelled and simulated to a useful degree of accuracy using relatively simple techniques. By selection of appropriate component species sets and limiting model complexity to the simplest required to answer the problem posed, many of the pitfalls normally associated with mathematical modelling and simulation can be avoided.The mining and processing industry relies on macro scale avoidance of waste at the front end of the operation, followed by the progressive removal of waste and contaminants via comminution and separation. Unfortunately the low grade of valuable content in most metalliferous operations, dictates that vast quantities of associated host rock and gangue accompanies the valuable material to the processing plant. David Bowman, of Bear Rock Solutions, Australia described how, in association with Newcrest Mining Ltd, a robust scientific plan has been devised which examines the fundamental nature of waste rejection, the possibilities for exploitation and how it could be employed across their various operating sites and in future operations. The total project examines a range of waste rejection techniques capable of deployment at coarser size ranges and these include systems based on, size, gravity, physical and chemical properties. The results of this study show that some process streams offer significant potential for waste rejection, but in most cases there is no “one pass” waste rejection option. Rather the rejection process becomes a series of liberate-separate cycles. At each stage the altered physical characteristics of the material open different possibilities for rejection techniques. Suresh Srinivasan of the Indian Institute of Technology reviewed the recent developments in microwave applications in metallurgical processes including mineral processing, microwave assisted grinding, microwave enhanced magnetic separation, microwave treatment of coal, and also in the field of extractive metallurgy such as roasting and calcination, leaching, and reduction. This was followed by a presentation from the University of Queensland on the FDTD simulation of microwave heating of a variable feed inside two microwave applicators, with different uniformity parameters. There was an interesting array of papers after the morning coffee break. Martin Brandaeur of the Karlsruhe Institute of Technology, Germany, presented a paper on the physical separation of secondary waste from the decommissioning of nuclear facilities and Vladimir Rizmanoski of the University of Queensland showed how micro-cone beam tomography offers a non-destructive way of identifying coarse and fine mineral grain dissemination on a particle by particle basis. There is substantial potential benefit for separate treatment if a practical means of coarse separation based on texture existed. John Clout of Australia discussed recent advances in iron ore beneficiation, particularly for low grade hematite-goethite ores containing clay and quartz gangue, which have proved difficult to upgrade and capital intensive to process when using existing beneficiation technology. A number of wet plants have recently been constructed in the Pilbara region of Western Australia using a new flowsheet, consisting of wet screens, hydrocyclones, upcurrent classifiers, spirals and dewatering screens. The process overcomes many of the disadvantages of more traditional iron ore processing flowsheets. The average grades of many mineral ores are in long term decline while the demand for minerals and metals continues to increase. The overall effect is to increase the consumption of energy per tonne of metal produced. For many ores, most energy is consumed in communition, and for many low grade ores much of the communition energy is expended on barren rock. One way to moderate this dilemma is to sort ore at coarse sizes to reject very low grade or barren gangue. Rejecting waste at coarse sizes reduces the energy required for communition and per unit of metal produced. Such dry ore beneficiation is an objective in many mines nowadays. Water withdrawal and disposal and all related environmental aspects became key issues, even more in arid areas. Sensor based sorting technology using X-Ray-Transmission (XRT) has proven its ability in recent years in industrial scale applications. High efficiencies and recovery rates can be achieved using the latest technologies. Powerful computers and increasingly sensitive X-ray scintillation counters have allowed the development of high-performance units. 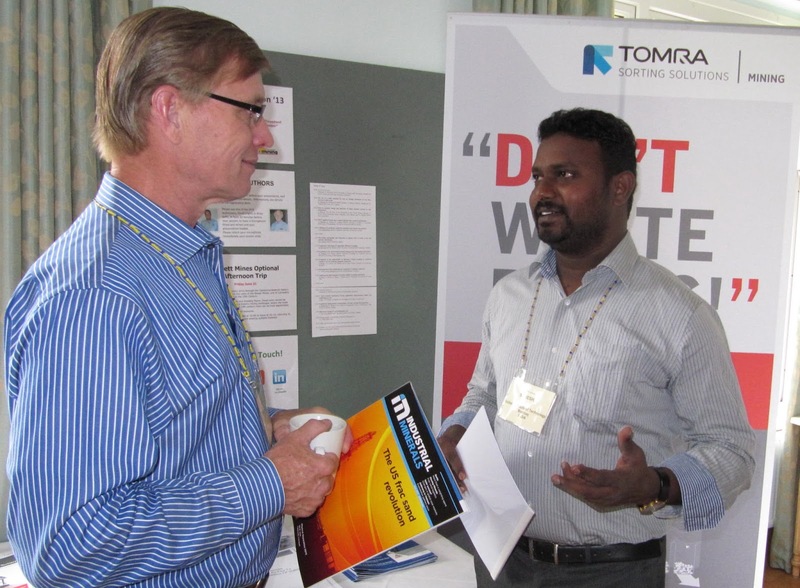 The machines have reached a status of rigid and reliable field stability and can be operated at grain sizes of 8 mm up to 70 mm, depending on the individual ore.
Jens-Michael Bergmann, of conference sponsor TOMRA Sorting, Germany, described the basics of XRT-sorting technology followed by a case study of a chromite processing plant in South Africa where a state-of-the-art XRT sorting machine is operating together with spiral concentrators. The sorter is pre-concentrating the ROM chromite ore by removing barren waste and low grade rocks, while after comminution the spirals are concentrating the ore to a market grade of above 46% Cr2O3. 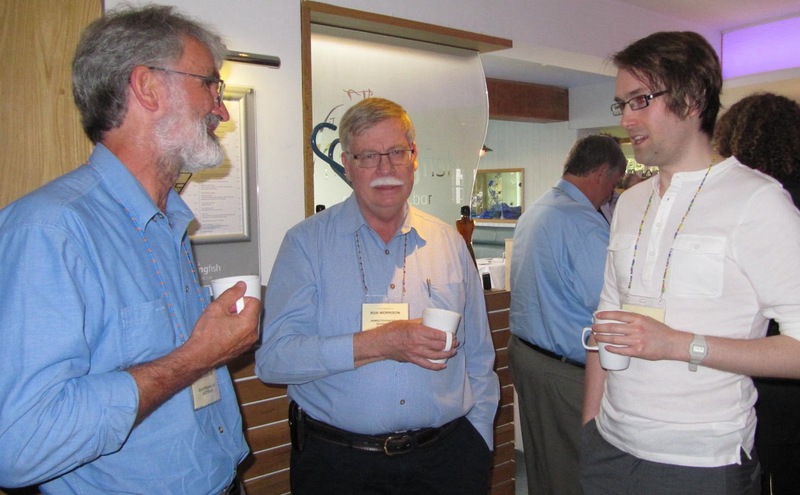 Rob Morrison of the University of Queensland described how to measure the potential of ore for sorting and the development of a range of indices which can be used to describe their intrinsic sortability and their actual sortability for any sorting process. He also showed how many mineral deposits do not have sharp, well defined boundaries. They grade away to very low grades through a non-economic halo which may contain as much metal as the economic part of the deposit. If some of the halo ore can be upgraded by sorting, the size of the deposit is increased. If marginal ore can be upgraded, the effective capacity of the concentrator can be increased “making space” for the upgraded ore from the low grade halo. These opportunities do not fit into the conventional cut off grade model for ore selection, and the paper considered alternative strategies for the definition of “ore” which may also lead to enhanced value of the deposit with a lowered requirement of environmental remediation. Three papers on hydrocyclones started the afternoon session. Johann Dueck of the Friedrich-Alexander-Universitat, Germany, described an approximate analytical method for calculating and explaining the non-monotonic partition curve (fish-hook effect) of a hydrocyclone. Positron Emission Particle Tracking (PEPT) was developed at Birmingham University in the late 1980s, and has proven to be a powerful visualization tool for industrial engineering applications. Many attempts have been made to capture the key relationships between hydrocyclone operating and geometrical variables in models, but hydrocyclone characterization is still heavily empirical and on a case-by-case basis. Jen Radman, of McGill University, Canada showed how hydrocyclone flow patterns can be quantified under realistic industrial conditions using PEPT. Maryam Ghodrat, of the University of NSW, Australia, showed that hydrocyclones usually follow conventional cone design and may have some limitations on separation performances. A continuum-based multiphase flow model showed that cyclone performance is sensitive to cone section length as well as cone shape. Robert Johansson, of Chalmers University, Sweden, then showed how modelling was being used by Chalmers University, Sweden, to predict the performance of a two-step air classifier, using data from a Swedish crushing plant. Modern mining processes require the use of large quantities of water, yet clean water is a finite and ever-scarcer resource. Chris Rehmann of AESSEAL Inc., USA described, in the final paper of the day, a proven sealing technology which enhances physical separation and filtration processes, and improves filter-press cycle times. This is accomplished by replacing traditional flushed gland packing on pumps with a double mechanical seal that recirculates clean water from a novel seal support system which has no moving parts. It was claimed that improvements in pump and filtration systems using this system are now saving over 25 billion gallons of water worldwide each year. Talking of water, the weather has been atrocious today, but despite the conditions, around 20 hardy souls braved the elements for the evening coastal path walk. 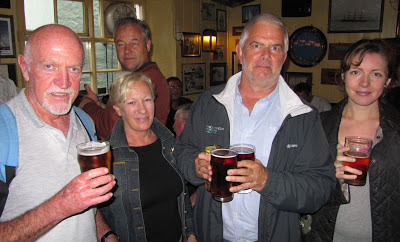 The 17th century Chain Locker pub provided a warm and dry destination, and good Cornish ale in the company of the Cornish Mining Sundowner whose monthly meeting happily coincided with the walk. 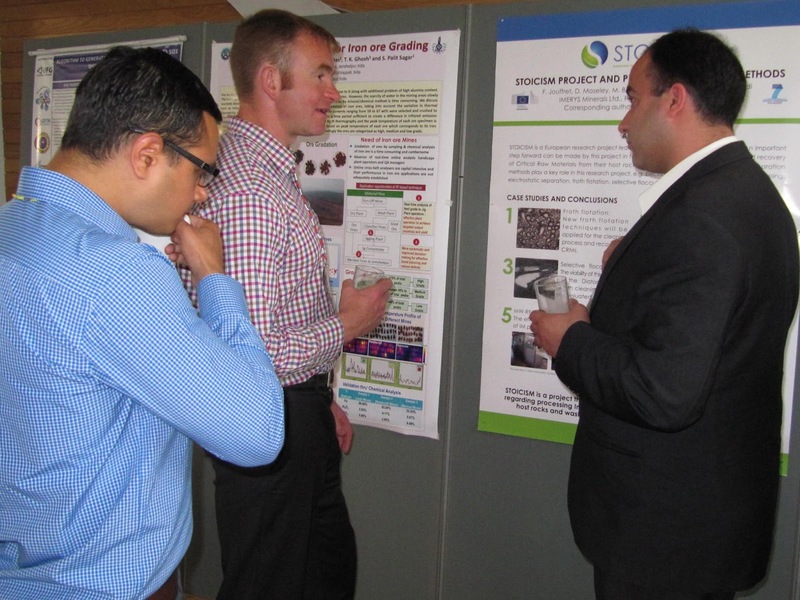 This morning’s papers were an eclectic mix, starting with a presentation from Daniel Amariei of COREM, Canada on the reflux classifier, one of COREM’s research projects dealing with the introduction of new potential technologies for the recovery of fine particles. The reflux classifier is mainly used in the coal and minerals industries, but the paper summarised the experimental work undertaken for the assessment of concentration capacity of the reflux classifier for iron fines beneficiation, where the recovery of fines has become a high priority. Jian Cheng, of the University of New South Wales showed how Computational Fluid Dynamics and DEM modelling can optimise the design and operation of dense medium cyclones in coal preparation, and then Darryel Boucher, of McGill University, showed how PEPT is a powerful method to visualise the behaviour of particles during the concentration process, providing data that will be used for the validation of new models of spiral concentrator performance. Gravity concentration modelling was also the subject of a paper by Jean-Sebastien Kroll-Rabotin, of the University of Alberta, who described the validation of a predictive model for industrial scale Falcon concentrators, enhanced gravity devices which are commonly used in the mining industry. Eduardo Crespo, of Daytal Resources, Spain described the development of a new DEM mathematical model for the description of segregation and dispersion in jigging beds, which also gives important insights into the jigging mechanism. Agnieszka Surowiak of AGH University of Science and Technology, Poland then provided a comparative assessment of separation efficiency in jigging. Rare earth elements are becoming increasingly important for a variety of uses (see posting of 1st February). Rare earth (RE) mineral deposits are typically processed using several different unit operations including gravity, magnetic, electrostatic and flotation separation. Two of the most important beneficiation techniques for RE minerals are gravity and magnetic separation. Many RE minerals are found alongside low specific gravity gangue minerals thereby permitting the use of gravity separations to concentrate the heavy value RE minerals. Magnetic separation is used primarily to remove ferromagnetic gangue minerals as well as to separate individual paramagnetic rare earth minerals. 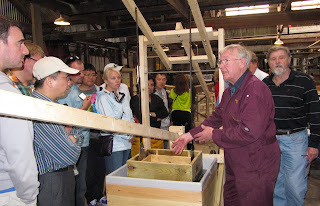 Adam Jordens, of McGill University, described how a series of magnetic separators (wet variable intensity, wet drum permanent magnet, Frantz Isodynamic Separator) in conjunction with gravity pre-concentration steps (Knelson and Falcon centrifugal concentrators) have been used to beneficiate a rare earth ore. The internal workings of wet Low Intensity Magnetic Separators are poorly understood, and Jan Stener, of Lulea University of Technology, Sweden, showed how ultrasonic velocity profiling could be used to enhance our understanding. Rob Morrison of the University of Queensland presented work on the investigation of the radiofrequency properties of conductive minerals. Unlike insulating minerals, such as quartz or feldspar, the propensity of conductive minerals to heat using radiofrequency energy has not been particularly well quantified or documented. A detailed knowledge of the RF properties of all minerals is required if RF energy is to be effectively used in many potential applications. The final paper of the morning session was presented by Hugh Rice, of Leeds University, who discussed the application of the ultrasonic dual-frequency method, which uses the backscattered signal received by transducers operating in the megahertz range, to determine the concentration profile in suspensions of solid particles in a carrier fluid. The observed trends demonstrate that this technique has great potential for measuring the settling and separation behaviour of real suspensions and slurries in a range of applications, such as the nuclear and minerals processing industries. 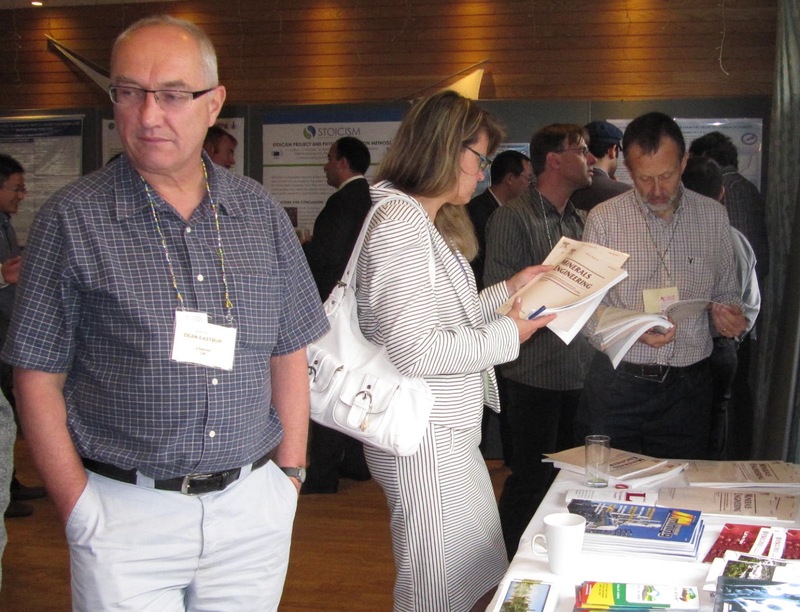 Dewatering was the theme of the final session of the conference. Understanding settling and thickening of complex, concentrated sludges and suspensions is a critical requirement in numerous industries. Jaiyana Bux of Leeds University showed how an acoustic backscatter system has demonstrated potential for in situ characterisation with minimal intrusion. A gravity thickener containing a water treatment waste stream was successfully profiled, by correlating the backscatter attenuation in situ with that of homogenous suspensions. Fernando Betancourt, of Universidad de Concepcion, Chile, then described a model to control continuous sedimentation of suspensions in clarifier-thickener units. In the final presentation, Chris Pickles, of Queen’s University, Canada, showed how microwaves could be used as an alternative energy source for drying a sub-bituminous coal. The results demonstrated that microwave drying had several advantages over conventional drying, such as reduced drying time and increased drying efficiency. 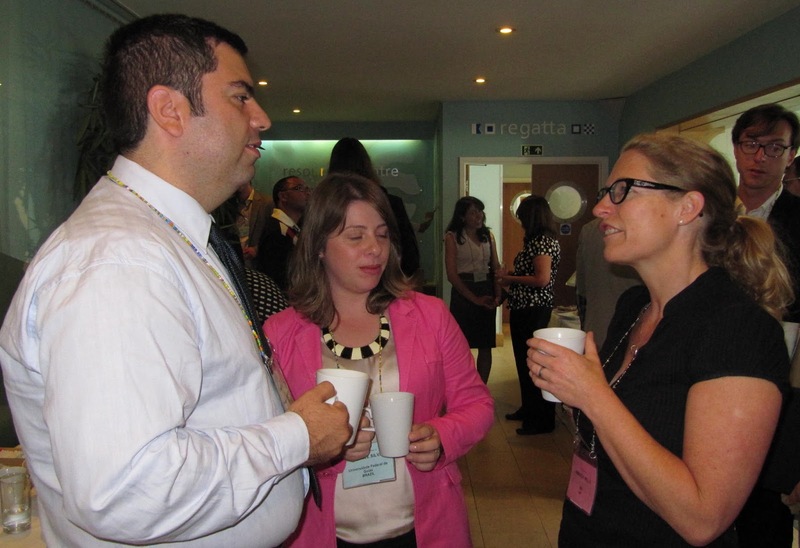 Amanda closed the conference and invited all delegates to Physical Separation ‘15 in two years time. There were 35 papers presented at the conference, including 7 as posters. These are all available on CD from MEI. Final papers will be peer-reviewed and published in a special Physical Separation issue of Minerals Engineering. During the final coffee break I gave a short introduction to the geology of Cornwall, and its copper and tin mineralisation, prior to our late afternoon visit to the Camborne-Redruth mining area, the “birthplace of modern mining”. During my 22 years at Camborne School of Mines (CSM), I must have made the journey to Camborne and back many thousands of times, but it is always fascinating to see the gradual change in the landscape, from Falmouth's lush greenery to the relatively bleak mining landscape around the famous mining towns of Redruth and Camborne. Our coach passed the South Crofty mine, which closed in 1998, and the site of Dolcoath, which in the late 19th century was the world's greatest and deepest mine. 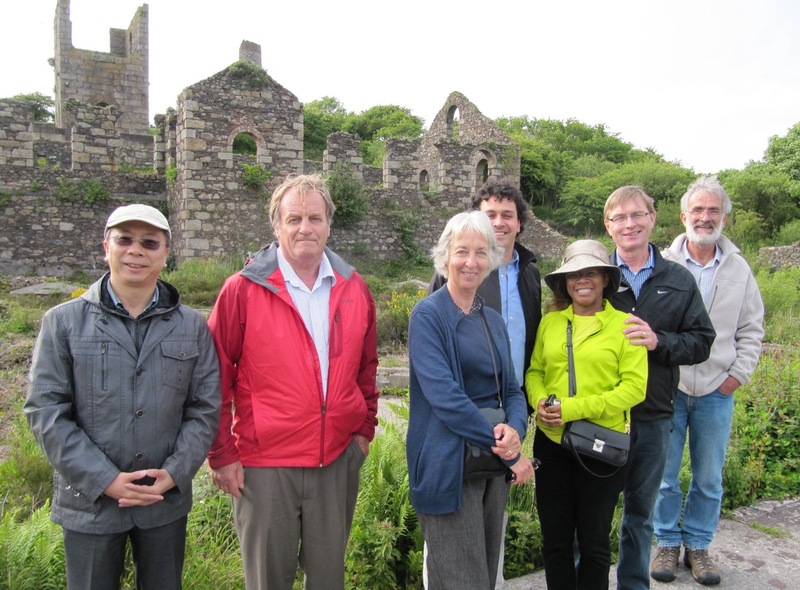 Then on to the village of Troon in the heart of what was once the world's largest producer of copper and tin. 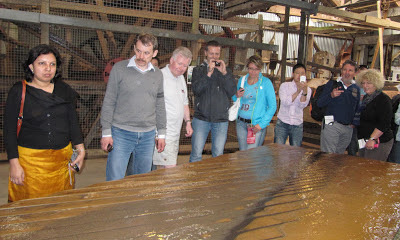 We were privileged to have an exclusive tour of the award winning King Edward Mine (KEM) Museum, once owned by CSM, and where I had my first office! The mill at KEM simulates the flowsheet of an early 20th century tin dressing plant, with now obsolete devices such as Frue vanners, hand jigs, round frames, buddles and rag frames. The Californian stamps were also run for a short period, to give us an impression of the cacophony of sound which must have assaulted the ears in those far-off days when hundreds of mines were operating in this area. On behalf of the group I must thank Tony Clarke, who I worked with all those years at CSM, Frank Kneebone and conference delegate Nigel MacDonald for hosting us, and for their deep knowledge of, and enthusiasm for, Cornish mining. From KEM we drove to the small mining village of Carnkie to explore the ruins of the dressing floors of the Basset Mines, a now peaceful area of what was once a hellish district of danger, smoke-bellowing engine houses, and the ever present ear-splitting pounding of the stamp batteries. Then a leisurely drive back to Falmouth to say our goodbyes after what has been a great week of conferences, with whom Laura Syrett, of sponsor Industrial Minerals, described on Twitter (#PhysicalSeparation13) as mineral processing's elite! 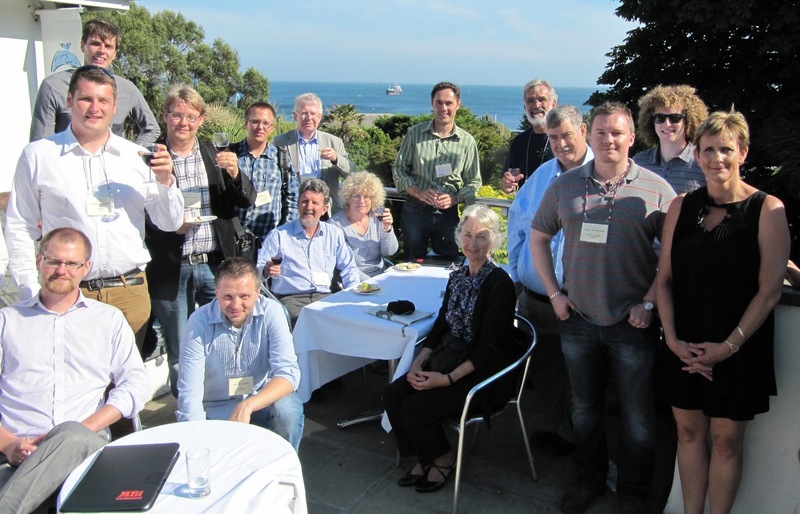 Computational Modelling ‘13 was held at the St.Michael’s Hotel, Falmouth, UK from June 18-19, 2013. 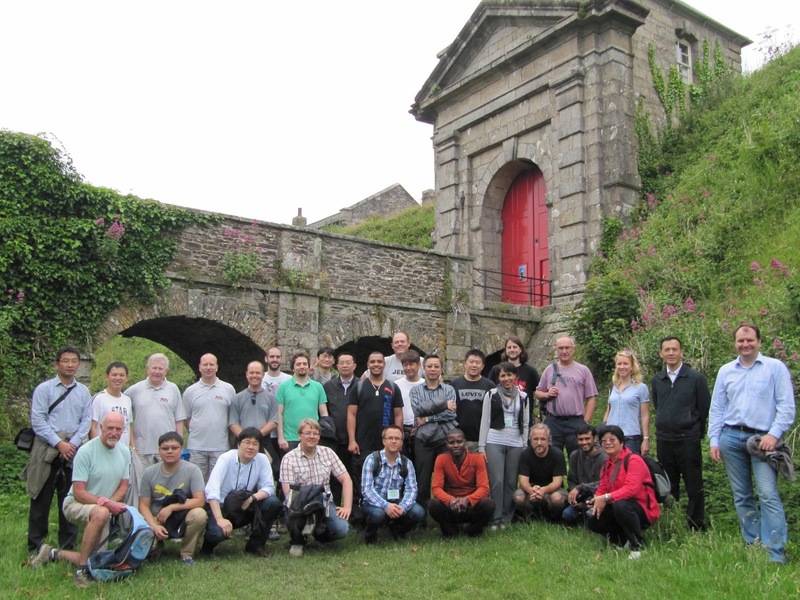 This was the 4th in the series of what are perhaps MEI’s most specialised conferences, attracting a small but elite group of participants involved in the use of fundamental physical equations to predict the behaviour of complex mineral processing systems. This is my diary of the 2-day event. I am by no means a specialist in this field, so I hope that delegates will add their own comments to provide a definitive report of the meeting. 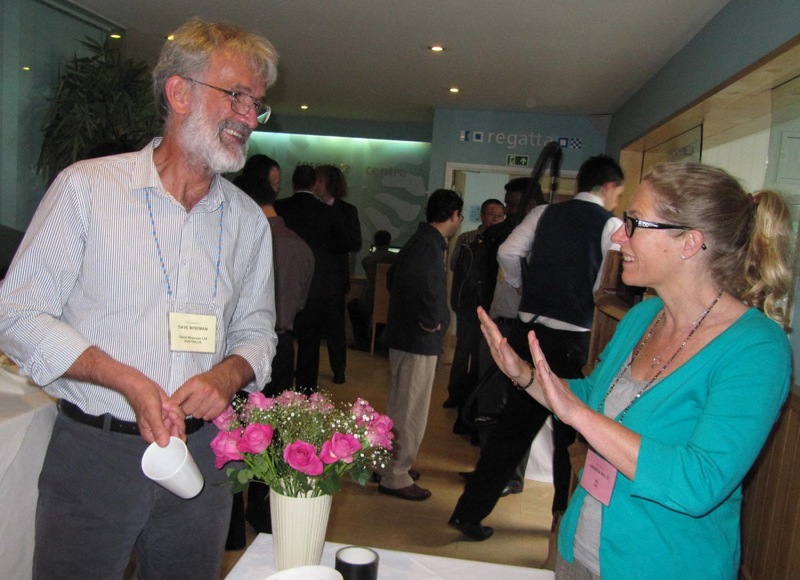 Jon Wills opened the conference this morning and welcomed the 43 delegates, representing 13 countries: Australia, Austria, Brazil, Canada, Chile, China, Japan, South Africa, South Korea, Sweden, UK and USA. Although there were a number of new delegates, there is a nucleus of researchers who are regular attendees, notably Prof. Aibing Yu’s group of seven from the University of New South Wales, Australia and Dr. Bertil Palsson with his team of 4 from Lulea University of Technology, Sweden. The first paper this morning was presented by Prof. Luis Cisternas of the Universidad de Antofagasta, Chile, who discussed how different objective functions have been used in the design of concentration plants. Frequently used functions correspond to maximizing revenue or profit. However, there is no study on the effect of the type of objective function on the design of these plants. He analysed the effect of various objective functions, including maximisation of profits, revenue maximisation, maximisation of net present value, maximising the rate of return, minimisation of the payback period, among other functions and how the results show that the objective function has a significant effect on the solution obtained. This was followed by four papers on the flow of materials in bulk materials handling systems, the first, from Chile, on the use of computational modelling for efficient long distance ore transport in pipelines, followed by a paper from Australia investigating the use of DEM to model the interactions between particles and process boundaries. 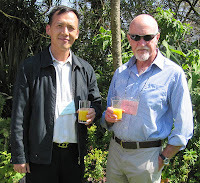 Comminution has been the main theme of the day, with eight papers, from South Africa, Australia, Brazil, China, Sweden and Chile. The first two, which took us to the lunch break, discussed the scale-up of batch grinding data for simulation of industrial milling. After an excellent lunch, Andre Silva of Brazil presented a simple iterative algorithm to calculate the closed circuit circulation load which allows the construction of reliable balances of mass, grade and water. 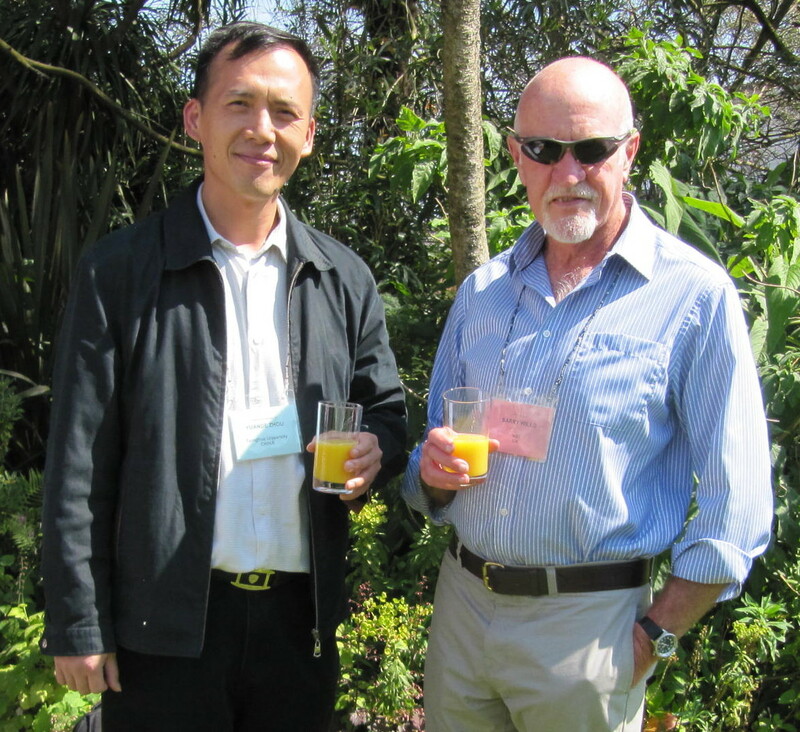 Yicai Wang, of Australia’s JKMRC, presented work aimed at understanding rock breakage behaviour, to provide a means to improve fragmentation efficiency. In the study, numerical modelling technology and image analysis were used to investigate the behaviour of actual rock in breakage processing. 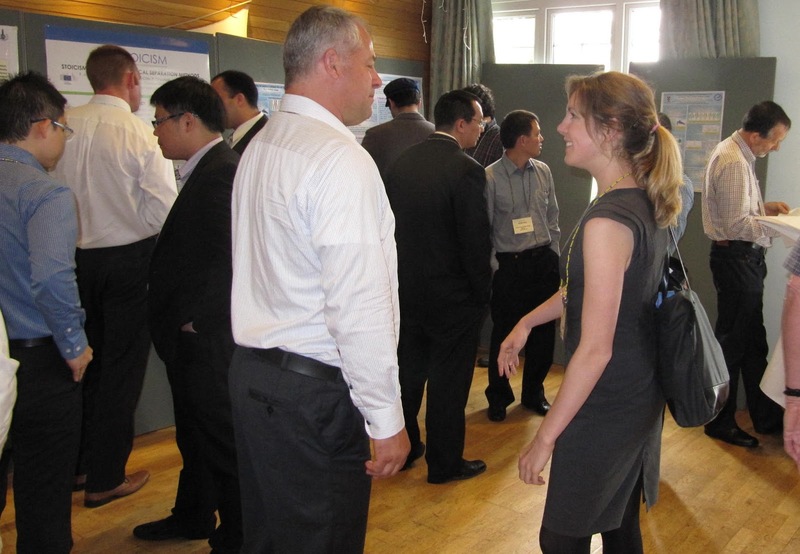 A new member to the conference series is the Tsinghua University, China and Yuande Zhou showed how a coupling approach of the finite element and smoothed particle hydrodynamics methods can be adopted to model the complex deformation and failure process of coal particles in a roller pulveriser. Smoothed particle hydrodynamics was also discussed by Sweden’s Par Jonsen as a novel method for modelling of interactions between pulp, charge and mill structure in tumbling mills. A SPH description of the pulp fluid was introduced. The lifters and the lining were modelled with the finite element method, and the grinding balls with DEM. This combined computational model makes it possible to predict pressure and shear stresses within the pulp fluid. A further paper from the JKMRC discussed the performance characterisation of AG/SAG mill pulp lifters using CFD techniques applied to a laboratory scale mill. The CFD technique was validated against Laser Doppler Anemometry measurements. This understanding was then used to build a cohesive computational framework for modelling industrial pulp lifters and to investigate unique problems associated with their design and performance. An intensive first day finished with a paper from Chile on the use of computational fluid dynamics for risk analysis of cross-country ore hydraulic transport operations. In particular, CFD has the potential to predict, with reasonable accuracy, the progression and final condition of spills driven by pipeline leaks at selected locations, at a relatively modest computational cost. 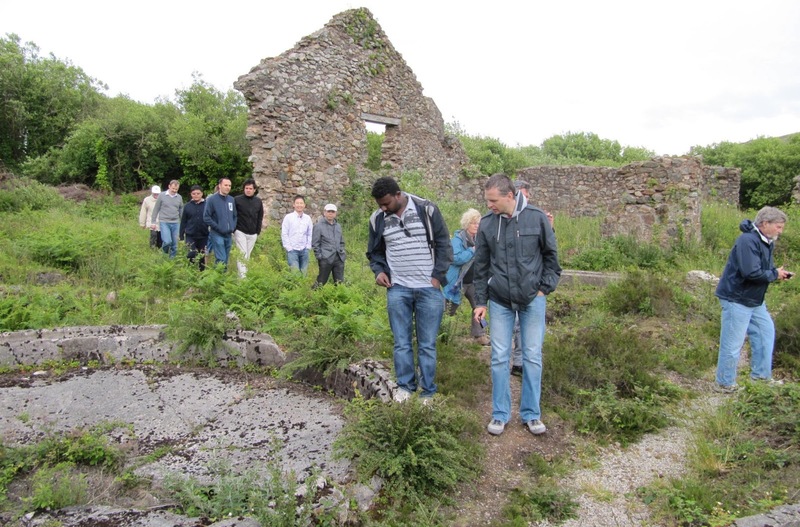 After a final coffee, it was time to unwind with the guided coastal path walk. 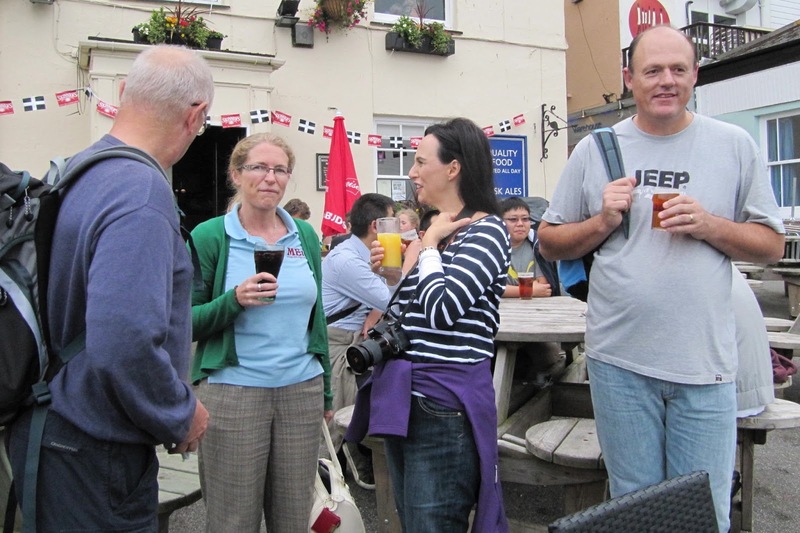 Despite the misty conditions, around 30 delegates took part on the 8km walk, giving them a chance to chat informally before ending up with beers at the old Chain Locker pub by the harbour. Yesterday's sea mist has burnt away, and today dawned sunny and clear. Of all the models of hydrocyclones that have been developed over the past 40 years, the most well-known and useful has perhaps been that of Plitt (CIM Bulletin, Volume 69, December 1976). 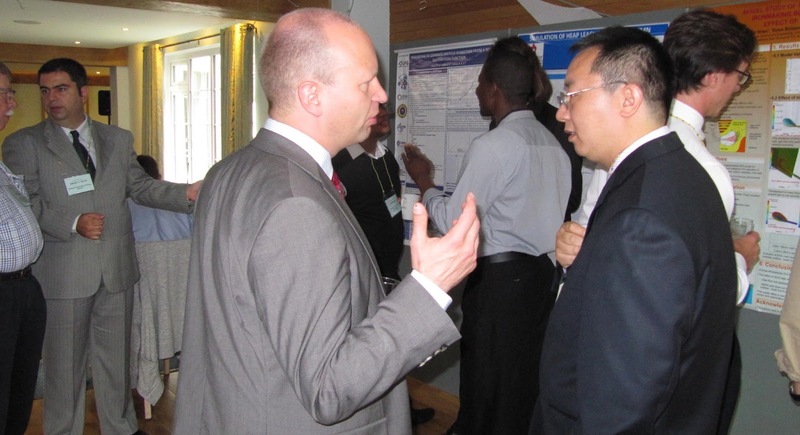 Combining the first industrial database on cyclones generated at JKMRC with his own laboratory data, Plitt developed a model which over the years has been subjected to many revisions and corrections. In the first of the morning’s presentations, Andre Silva discussed the influence of two operational parameters (percent solids in feed by volume and the pulp feed flow) on seven models based on Plitt’s models, with reference to the corrected classification size (d50c). From the results obtained a different value for Plitt’s model constant was proposed, resulting in another revision for the model. This was Andre's second paper at the conference. He and his wife Elenice attended Computational Modelling '11, and loved Falmouth so much that this time they have brought their family out with them- a party of seven! Maryam Ghodrat of the University of NSW, Australia presented a numerical study of the gas¬liquid¬solid flow in hydrocyclones with diffifferent designs of vortex finder. It was shown that a cone-shape vortex finder design can improve the performance of the traditional hydrocyclone with its cylinder-shape vortex finder. The aggregate industry in Sweden is investigating production methods to improve the quality of manufactured sand for concrete production. A common way to improve the shape of the particles is using a VSI crusher; however the crushing process creates large amount of fines (particles under 63 µm) which is negative for the finished concrete. 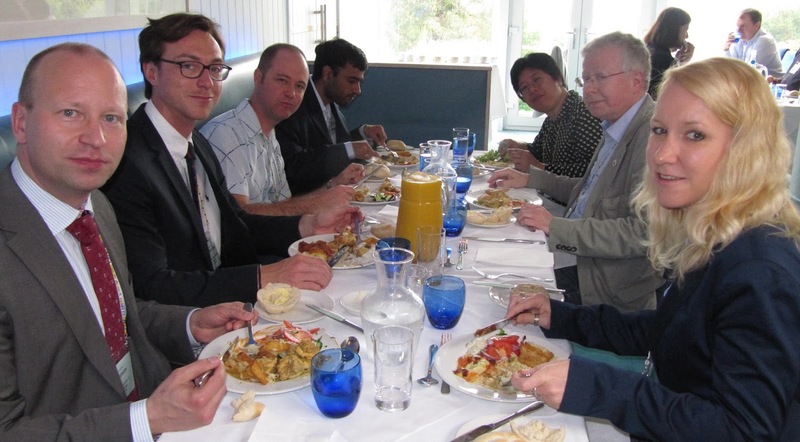 The industry is therefore investigating methods to reduce the amount of fines; one investigated method is air classification, and Robert Johansson of Chalmers University presented work on an investigation on the use of CFD on a centrifugal air classifier to increase the understanding of the influence of the geometrical design on the cut size and the resulting particle size distribution. This was followed by a further investigation on air classification, presented by Jong-Hwan Yoon of Daegu University, South Korea, whose team conducted computer simulations by using a commercial CFD program on a circulating air classifier in order to control the cut-size of the product. Vasile Murariu of Metso, USA, then took us to the morning coffee break with a paper on the simulation of a low intensity magnetic separator model using DEM, CFD and FEM magnetic design software. The efficiency of sensor-based sorting depends on both correct identification and separation of particles. It is known that the distribution of particles will affect the correct separation of particles; when particles are in close proximity there is an increased probability of co-deflection of unwanted material. 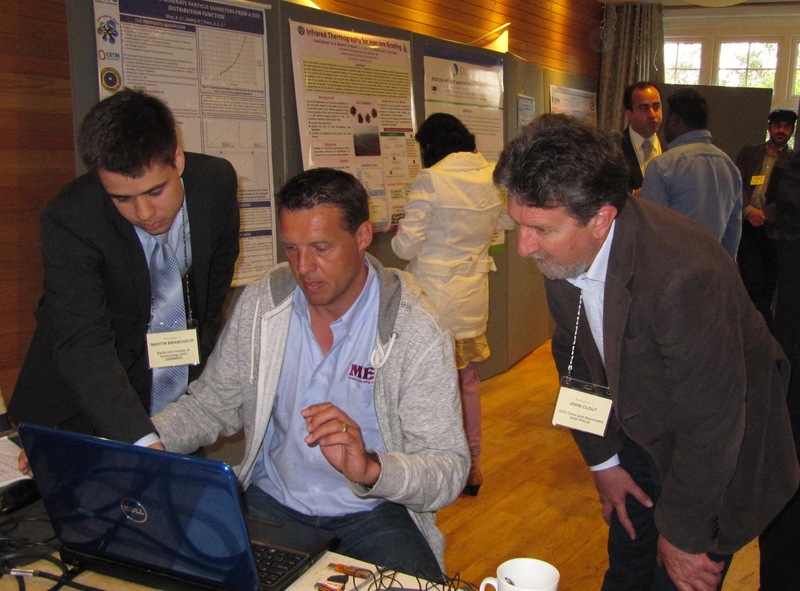 Robert Fitzpatrick, of Camborne School of Mines, UK, presented work aimed at modelling the air ejection manifold of a sensor-based sorter to predict the effect of particle proximity on co-deflection and separation efficiency. The dense medium cyclone is widely used to upgrade run-of-mine coal in coal preparation. It is known in practice that wear is a serious problem to the operation of DMCs but not well understood. 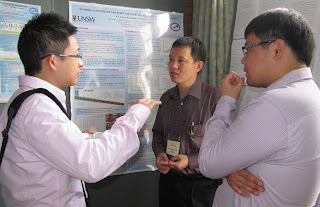 Kaiwei Chu, of University of NSW showed that the wear rate of DMC walls due to the presence of coal particles is predicted by a combined computational fluid dynamic and discrete element method (CFD-DEM), facilitated with the Finnie wear model in the literature. The numerical results show that the groove wear pattern observed in practice can be predicted by the approach and severe wear locations are also predicted. 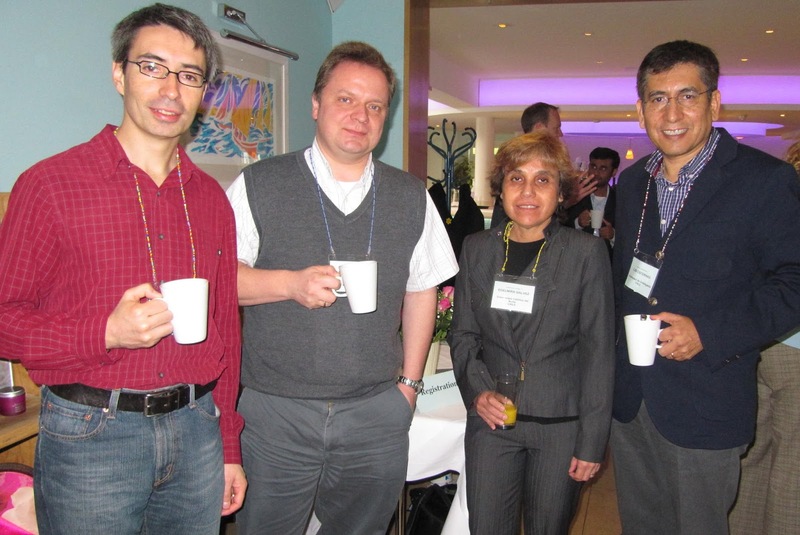 Two papers from Chile discussed the use of advanced models for simulation and optimisation of dewatering systems. Water conservation is increasingly important in mining, particularly in arid and semi-arid regions, such as northern Chile, where fresh water scarcity has led to its replacement by other sources of water such as sea water, and optimisation of its use. It is known that in copper concentration plants approximately 40-60% of the water lost is due to water retained in tailings slurries. Luis Cisternas presented a method of designing dewatering systems considering hydrocyclones and thickeners as dewatering equipments. Several case studies were considered, included comparisons with an experimental study of dewatering in a copper concentrator. 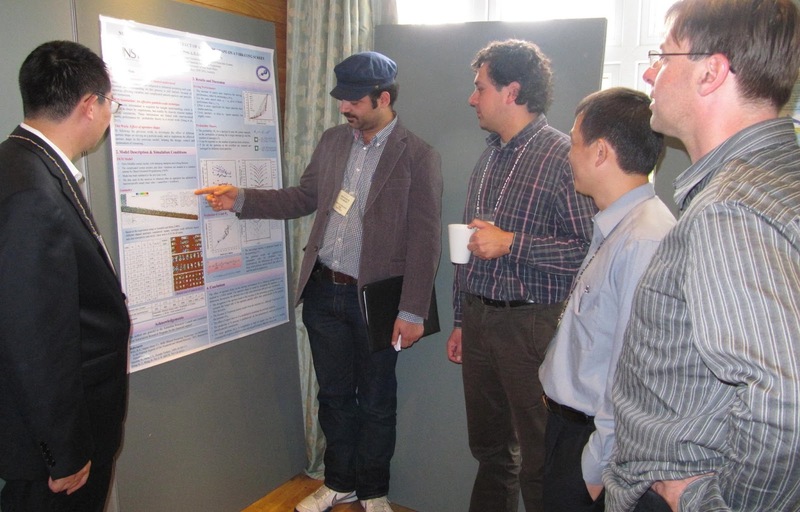 The last session of the conference highlighted computational modelling developments in hydro and pyro metallurgy. 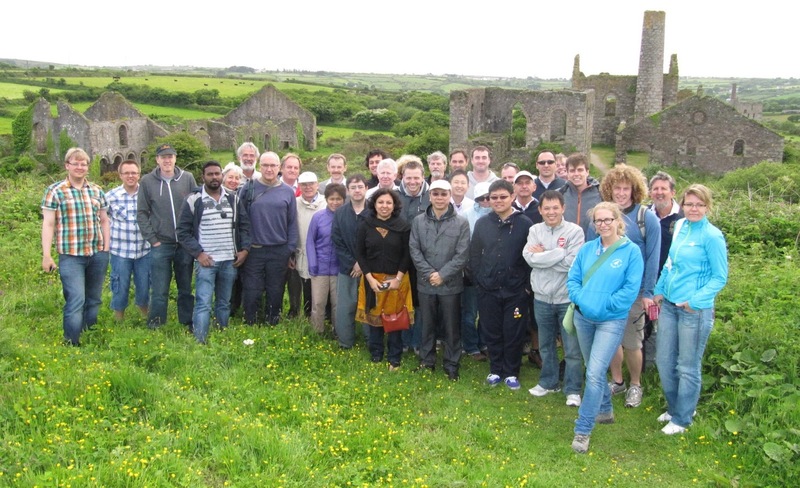 Workers at Swansea University, in collaboration with FLSmidth of USA have developed a comprehensive heap leach model, developed within a computational fluid dynamic software framework, providing a modeling tool capturing reactive dissolution in low grade ores of oxide and sulfide minerals. These systems involve suites of very complex reactions, which are closely coupled with the thermal conditions and key microbial populations. Diane McBride showed that once the model has been parameterized it can be utilized to investigate a range of process variables, such as irrigation rate, lift height, air injection, and bacteria limitations, amongst others. Two papers from Imperial College continued the theme of heap leach simulation, the first showing how fluid flow and mass transfer can be predicted in heaps using smoother particle dynamics, and the second using mesh adaptivity techniques to simulate multiphase flow. 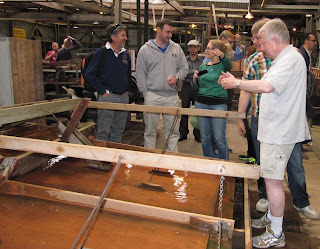 Electrorefining is widely used to produce high purity copper. Shunsuke Kawai of the Mitsubishi Materials Corp., Japan described the development of a CFD model for the industrial copper electrorefining process. During copper electrorefining, natural convection is induced due to the electrochemical deposition and dissolution of copper on the electrode surfaces. Furthermore, the electrolyte is circulated in a way unique to the individual tankhouse. Because the electrolyte flow pattern is formed by both the natural convection and the forced circulation, analysing the interaction between these flows is indispensable in order to understand the flow pattern in the cell. In the study, both electrolyte flow and cupric ion concentration fields were numerically analysed by the CFD model. Computational modelling of the iron blast furnace is being undertaken at several institutions, and as well as three poster presentations from University of NSW, there were two papers presented in the afternoon on CFD-DEM modelling of various blast furnace elements. 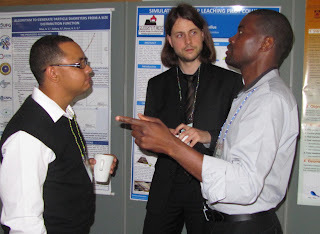 Two more pyrometallurgical papers were presented, both from South Africa. Bertus de Villiers described the development of a validated CFD thermal model for the Anglo American Platinum converter plant, which produces a copper-nickel sulphide converter matte which is slow-cooled in ingots over several days. In the last paper of the conference, Quinn Reynolds, of Mintek, discussed computational modelling of shear-layer instabilities and vortex formation in DC plasma arcs, the principal heating and stirring element in plasma arc furnaces. Closing the conference, Amanda invited all delegates to return to Falmouth in June 2015 for Computational Modelling ‘15. 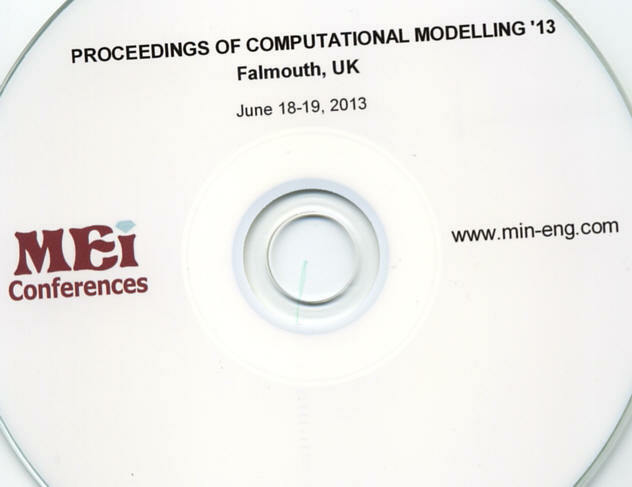 All 37 papers from the conference are available in draft form from MEI and authors have been invited to submit final papers for peer-review for a special Computational Modelling issue of Minerals Engineering. On the penultimate Thursday of every month, any minerals industry person in the vicinity is invited to the Cornish Mining Sundowner, which is held at Falmouth's 17th century pub, the Chain Locker, overlooking the inner harbour. The inner harbour at Falmouth resonates with history. Since the late 17th Century, jolly boats have brought sea captains ashore here, from the big ships in the outer harbour and Carrick Roads. 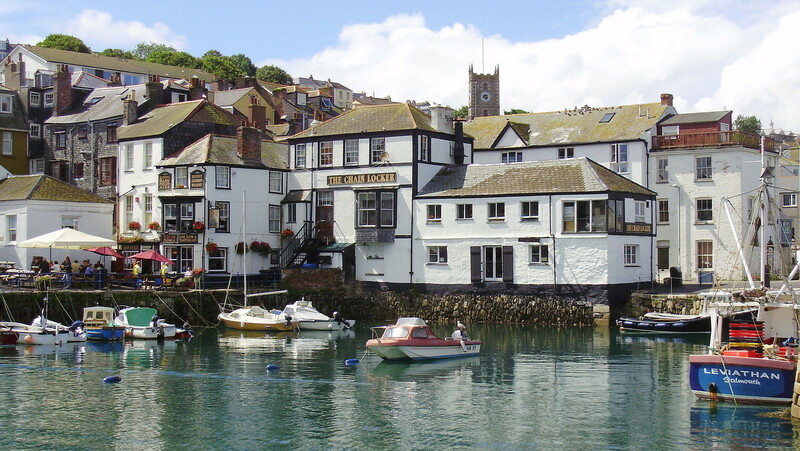 Here is the harbour master’s office, the Custom House with its “King’s Pipe” to burn contraband tobacco, plus the Quayside Inn and Chain Locker pub. The Sundowner is an event that I try not to miss, as there are always surprises, with people showing up from far away places for brief visits to Cornwall. 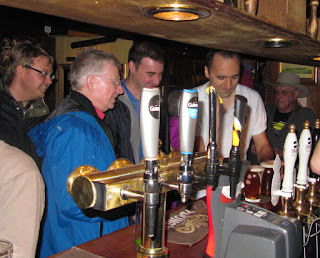 Although the weather last night was foul, many of the regulars were there, and I also caught up with one of my past students who I had not seen for 37 years. 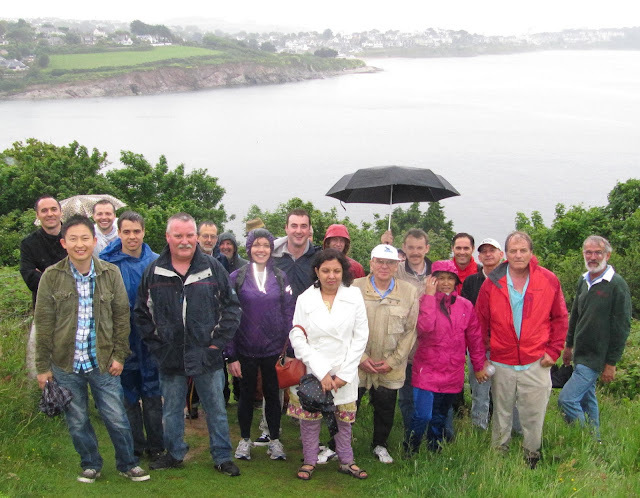 Last night was also special as the group was joined by around 20 of the delegates from Physical Separation '13 after their very wet walk along the coastal path. 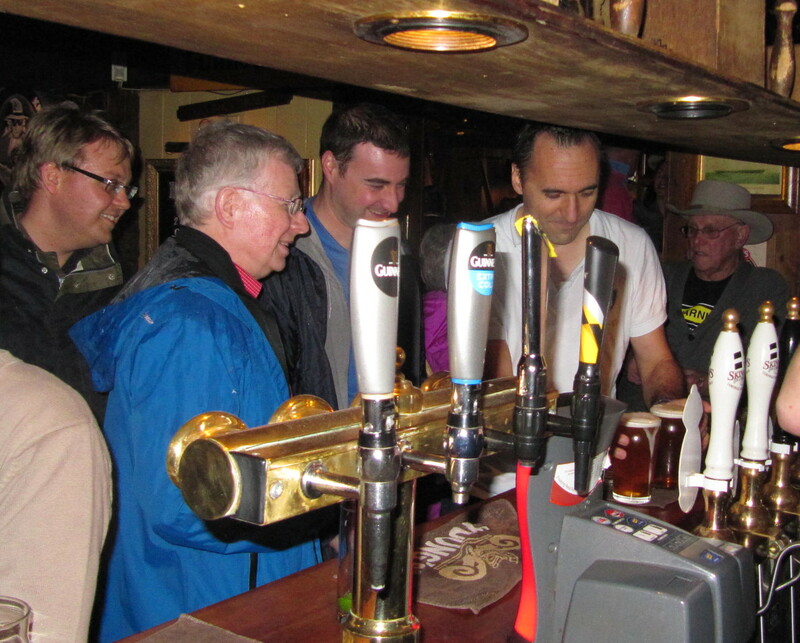 A packed pub, but a great atmosphere! Computational Modelling '13 ended this afternoon, and it has been a great event with excellent presentations and friendly people. Physical Separation '13 gets underway tomorrow, and we enjoyed late afternoon sunshine for the opening wine reception at the St. Michael's Hotel in Falmouth. 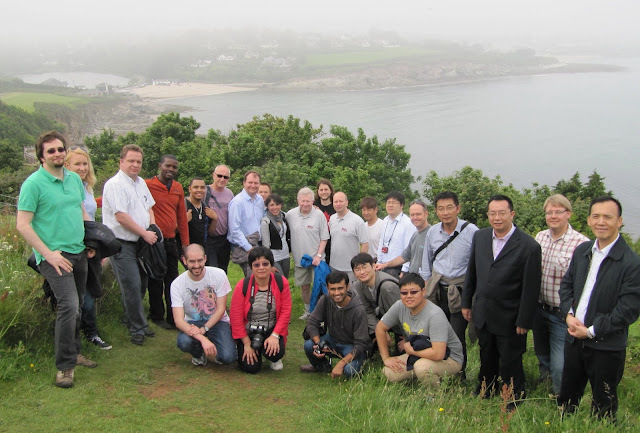 Over 100 delegates from 17 countries will descend on Falmouth this week for Computational Modelling '13 and Physical Separation '13. The first of the delegates arrived today, for Computational Modelling '13 which starts tomorrow. 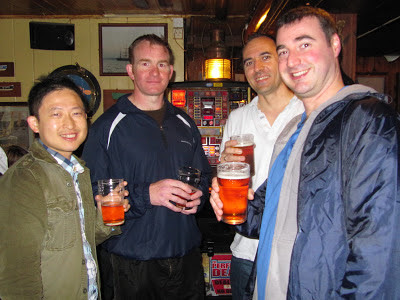 After long journeys they had the opportunity to relax and enjoy wine and local cheeses in the St. Michael's Hotel. 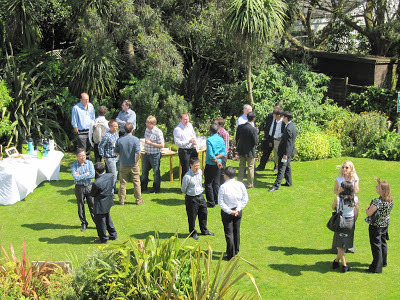 Look out for daily updates on Twitter at #computational modelling13 and #physicalseparation13. A reminder that abstracts for Flotation '13 should be submitted by the end of this month. 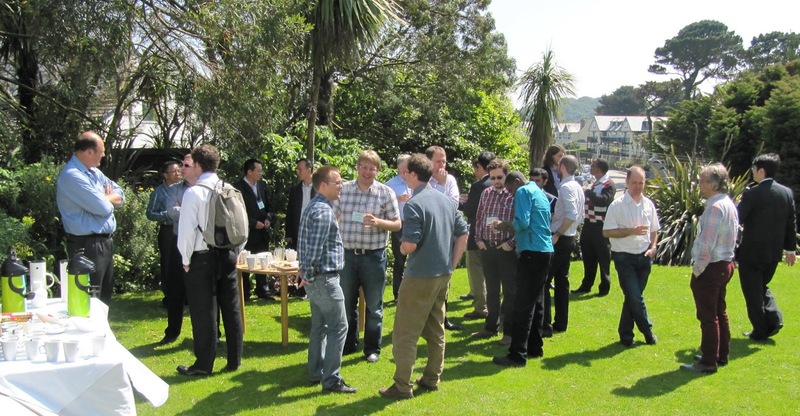 It is still not too late to register for Computational Modelling '13 and Physical Separation '13 which start next week. I shall be providing daily updates on these two events on Twitter (@barrywills). If you do not have a Twitter account, you can follow my updates, and hopefully those of others, at #ComputationalModelling13 and #PhysicalSeparation13. 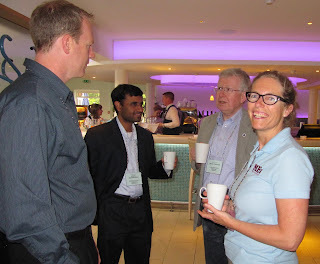 For more information on the Cape Town and Falmouth conferences, click here. Governments are rightly asking those who receive public funding for research to publish their work in open-access journals. Many of Elsevier’s high quality journals, such as Minerals Engineering, now offer an open access option, which helps authors to publish in respected journals while also complying with the new open access policies and mandates. An open access publication fee is payable by the authors or their research funder, while if an author opts for subscription publication no fee is paid. The publication choice has no effect on the peer-review process or acceptance of the submitted article. An unfortunate offshoot of the open access policy has been the growth of some very dubious publishers providing online journals requiring no subscription, and I hear an increasing number of reports of researchers being inundated with invitations to submit papers to these new journals. One of my journal reviewers tells me that “in academia the problem is that everything has become about numbers of papers. Graduate student scholarships can be based on number of papers. Promotion and hiring is based on number of papers. Grants/research funds are based on number of papers. We are actually told by the administration how many papers we should have per year”. The temptation for young and inexperienced researchers may be to opt for ‘easy’ publication in one of these new journals, and then find that they are invoiced for a hefty fee in a very low-ranking publication. Jeffrey Beall, associate professor and librarian at the University of Colorado Denver, has made it his mission to warn scholars about what he calls “predatory journals.” In 2010 he launched a list of questionable publishers and journals on his website with about 20 names. Today the website, Scholarly Open Access, lists more than 300 journal publishers. He maintains a separate list of stand-alone journals, numbering almost 200. Mr. Beall is quick to point out that the journals on his lists aren’t necessarily breaking any laws but that in his opinion, they are “low-quality publishers” with questionable practices that scholars should avoid. Don’t be tempted by these dubious open-access journals. If your paper must be open access, then opt for a high quality option. In our field, Minerals Engineering, International Journal of Mineral Processing and Hydrometallurgy all provide open access options. Peer-review is very rigorous in these journals, but the rewards are high so don’t be tempted to go for the easy option. With just over a week to go before the start of Computational Modelling '13 and Physical Separation '13, Cornwall is now in full bloom. The springtime bluebells are now fading to be replaced by a profusion of wild flowers, making this perhaps the best time of the year to walk the coast path with your camera. The photos below were taken today at Lizard Point, only 22 miles from Falmouth, the most southerly point of Great Britain. The Lizard is also famous for being one of the only places in England where the Hottentot fig flourishes. This succulent is native to South Africa but has naturalised in many other regions of the world. Although beautiful, it is an invasive species which poses a serious threat to Cornwall's native plants. The Hottentot fig can also be seen at St. Mawes and in one small section of the cliffs at Falmouth- just in front of the St. Michael's Hotel, the MEI Conferences venue!